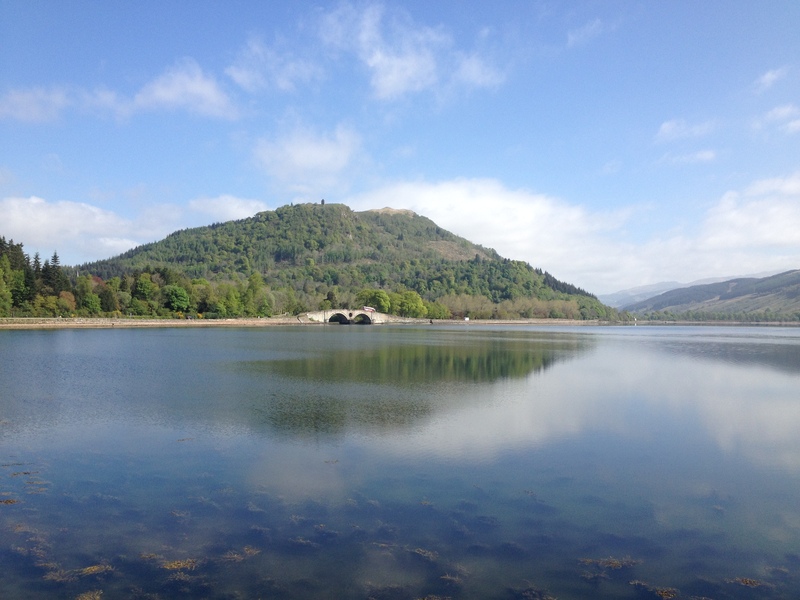 Tropical Loch Fyne – May 2017 !!!! It is in the nature of a true Englishman (and woman), to view with some scepticism the likelihood of fine weather in days to come. 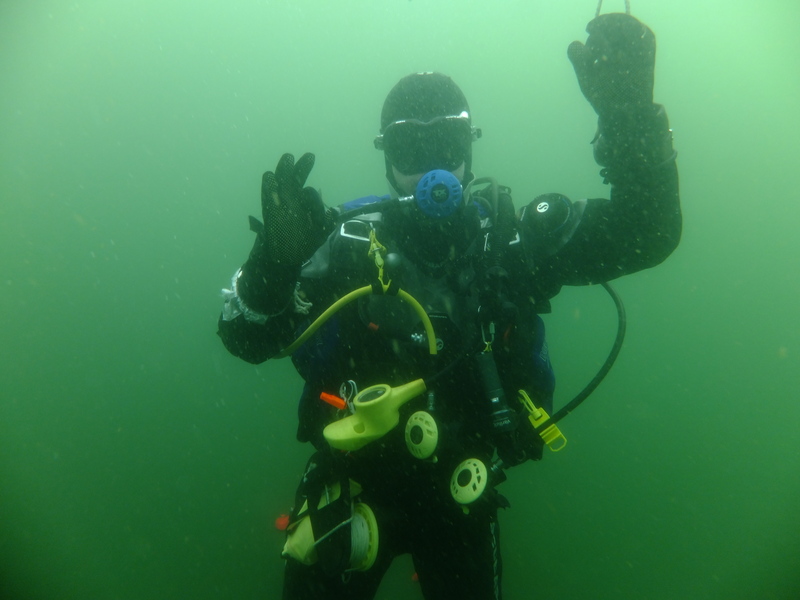 It is doubly so in the caser of English scuba divers who travel on dive trips hoping for the best but expecting the worst. 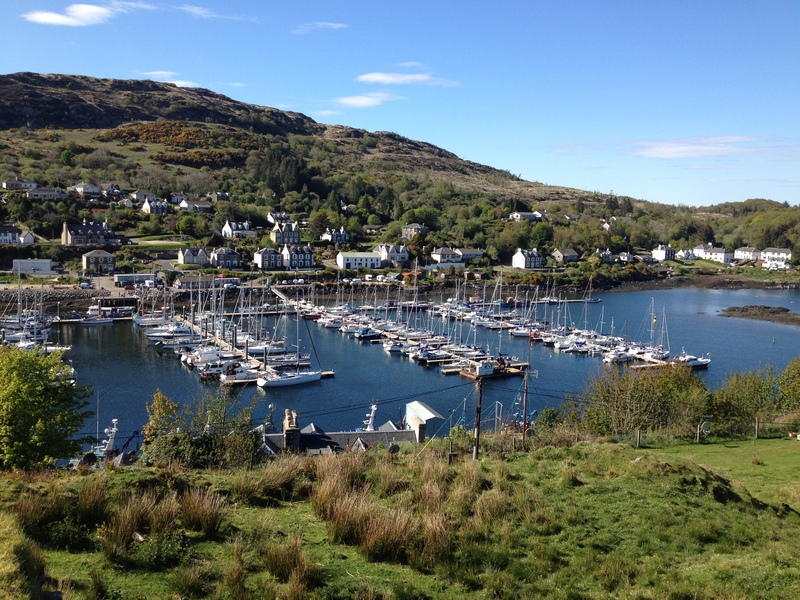 So it was with the trip to Loch Fyne. 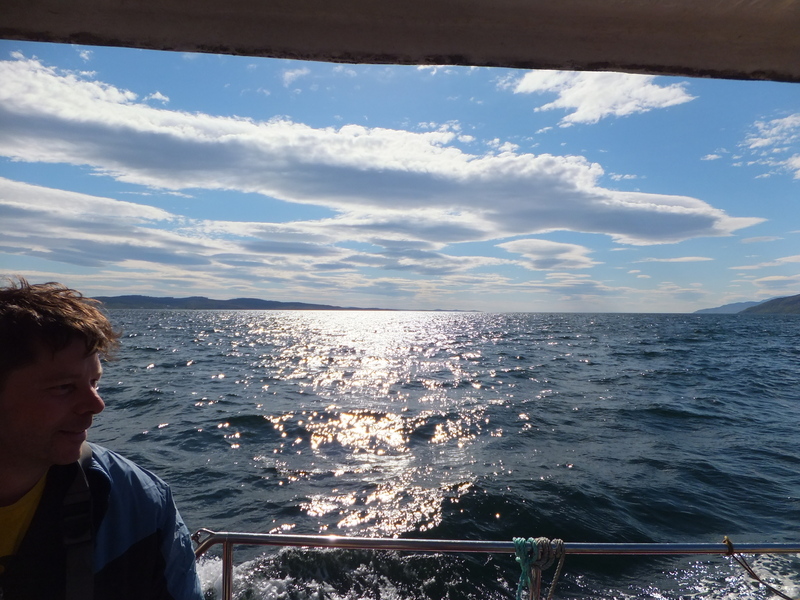 All the indications were for excellent, sunny weather and calm seas – we feared the worst. However, our pessimism was misplaced because, as is often the case, Scotland delivered on its climatic promises. 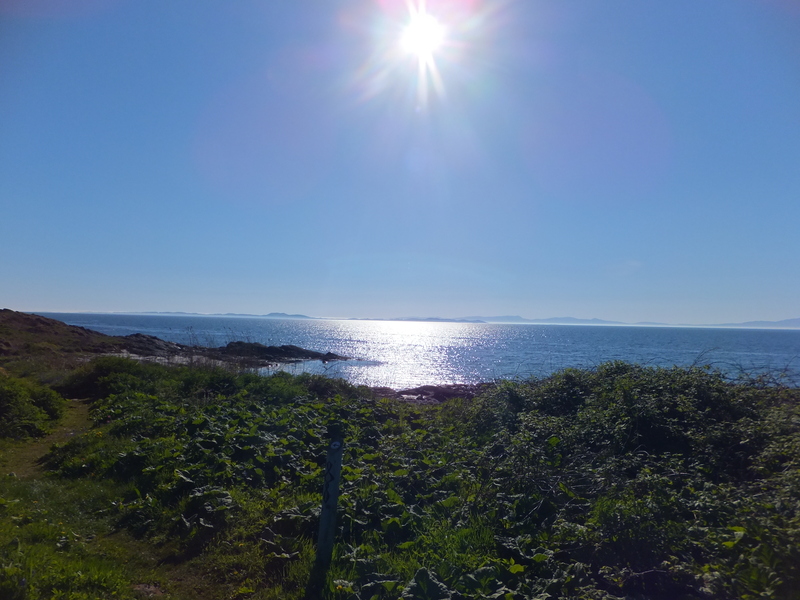 We had wall to wall sunshine for five days. OK it was a bit cool and breezy in the evenings but, hell, no one was complaining as we sat on our decking and read the papers, chewed the fat or swigged beer or wine. 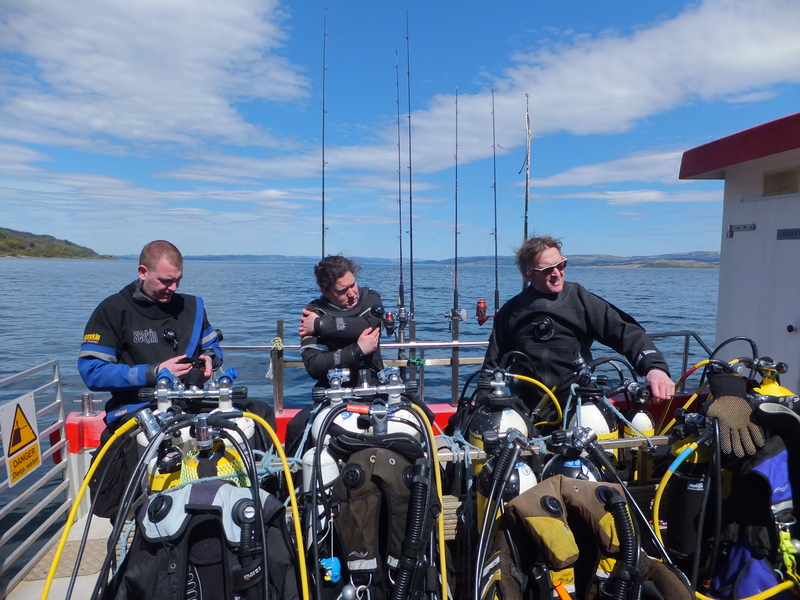 The diving, well nit was typical Loch Fyne diving especially as we failed again to persuade Malcolm-the skipper, to vary his routine and go a little further afield. 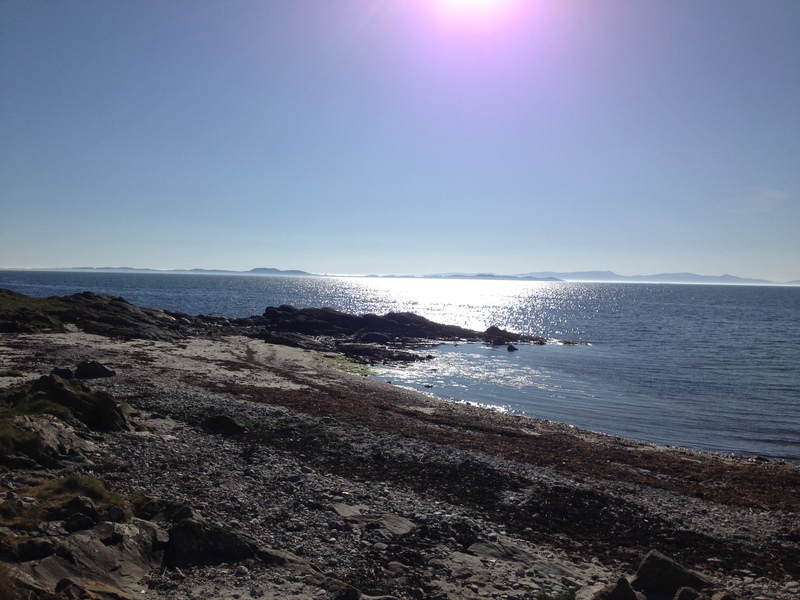 So trips to Torpedo Reef, the Margaret Niven, where tickets were issued for access to the very small wreck, and Arran III which could be missed if you blinked at the wrong time. 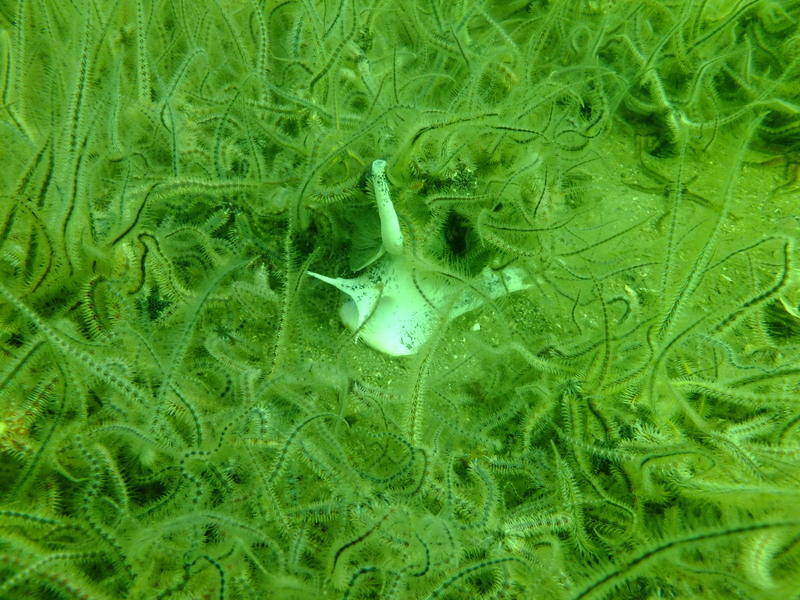 Other scenic dives were spoilt by the activity of the scalloping boats which make a mess of the seabed and scatter the wildlife far and wide. Where protected by rocks and reef, the seabed is spared and a more diverse and richer wildlife is available for the diver’s delectation. We saw some great specimens – a Thornback Ray, no not Mr Dawson in a bad mood, an angler fish with its little fishing rod, ferocious sharp teeth filled mouth and strange frill. 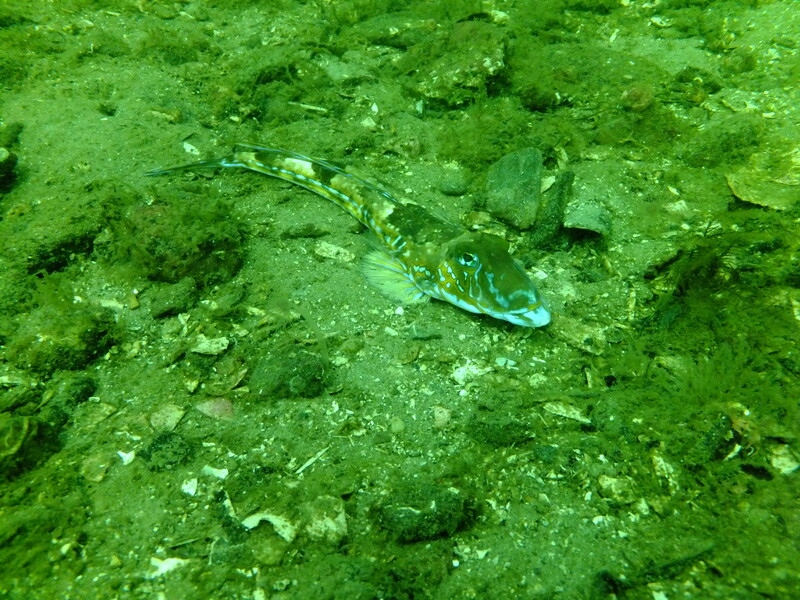 It is pure chance to spot one as they blend into the sea bed beautifully. Matt and Adam spotted a mysterious fish about which there was much debate until Ray and Frankie also spotted one and Ray managed to identify it. It was a Dragonet whose main characteristic is that it has a pattern of blue fluorescence when a torch is shone on it. 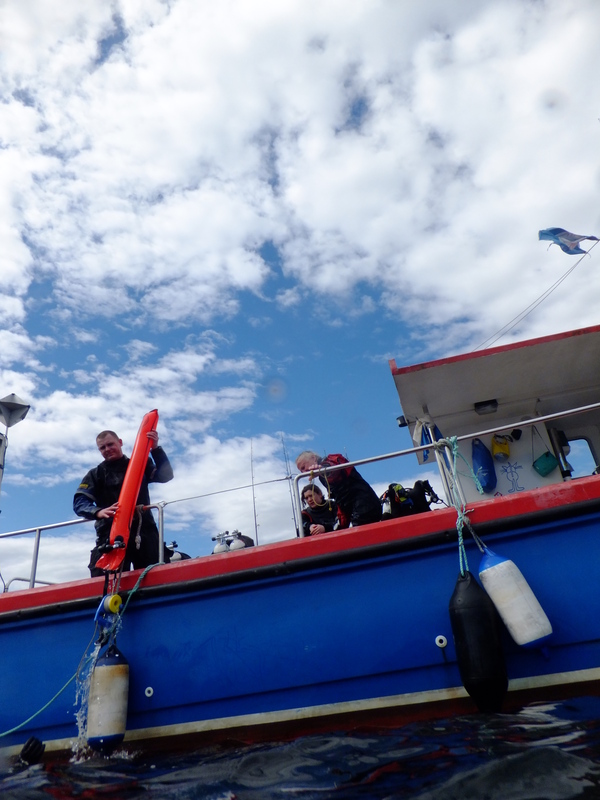 There was a strange lack of fish and even attempts to catch Mackerel during our surface interval. 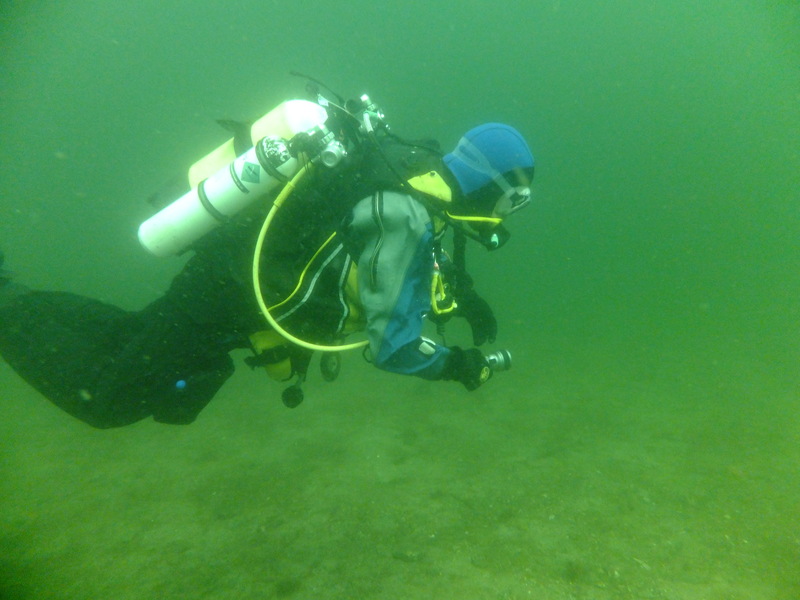 Malcolm assured us they were right under the boat about 10m down but our efforts were in vain. The local Gannets also thought they were somewhere else as they were diving for them some distance away. However, there were plenty of scallops and we feasted on our catch as a starter before the bbq on Sunday evening. Some also were transported south in goody bags for future, lip smacking consumption. Non-divers enjoyed walking o’er hill and dale and through the local forests. Poor Millie, Anne and Matt’s middle-aged dog found the first full day all too tiring and completely flaked out in the evening. Anne had to reign back her walking plans to allow for Millie’s age and dignity over the following days. The high point and most comical episode of the trip was the discovery and an old trawler, owned and run by a local trust, neatly parked on the rocks of a pinnacle we were due to dive. As the tide ebbed. Malcolm predicted a new wreck for us to dive in future visits. 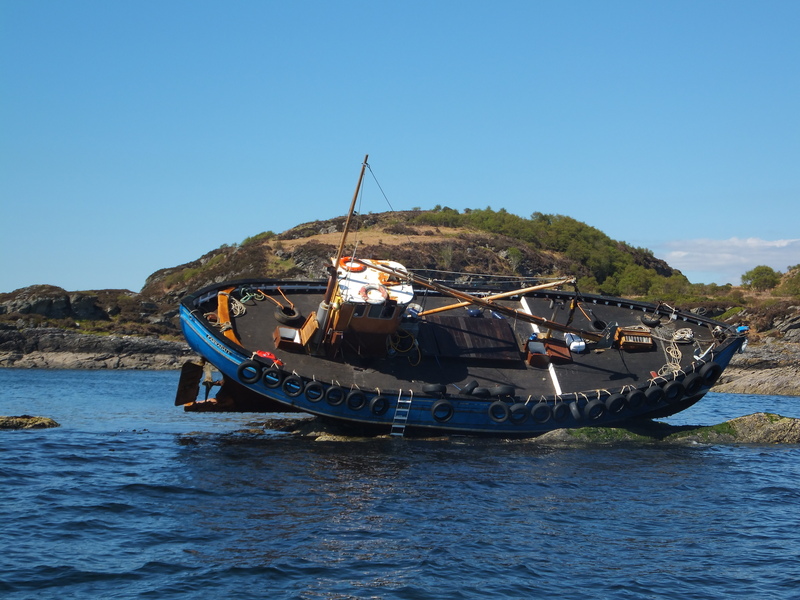 However, Neptune or Poseidon, or one or other of those sea gods, was in benevolent mood and the boat survived on the rocks, undamaged albeit listing at a precarious angle. It was floated off on the next high tide with the only damage being to the pride of the ‘experienced’ sailor that took it out. It would have been excellent to be a fly on the wall when he was explaining what happened to his fellow trust members. Those who had to get back drove off sunburnt but satisfied. 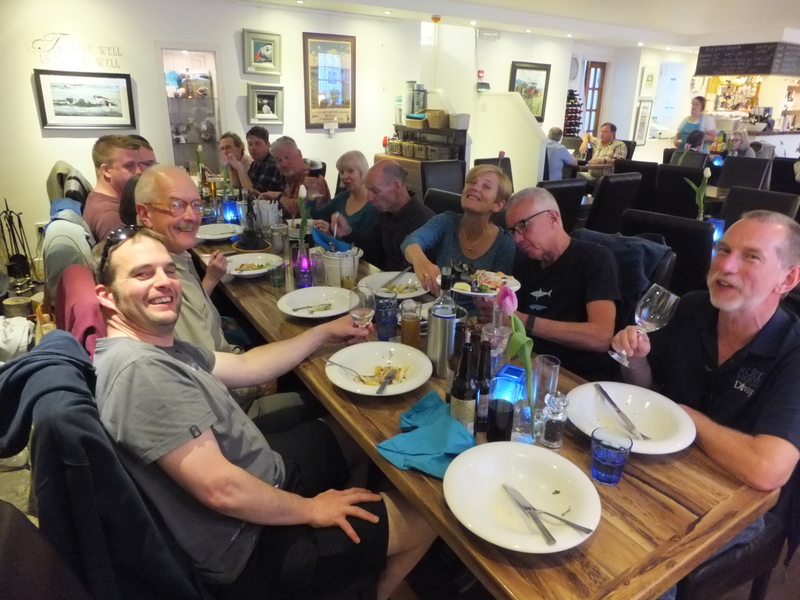 Others stayed on an extra night and enjoyed another fine meal at West Loch Tarbert. Finally, only Anne and Matt were left with the palatial lodgings all to themselves, more scallops for tea and a final beautiful day meandering down to Campletown. The advantages of self-employed status. 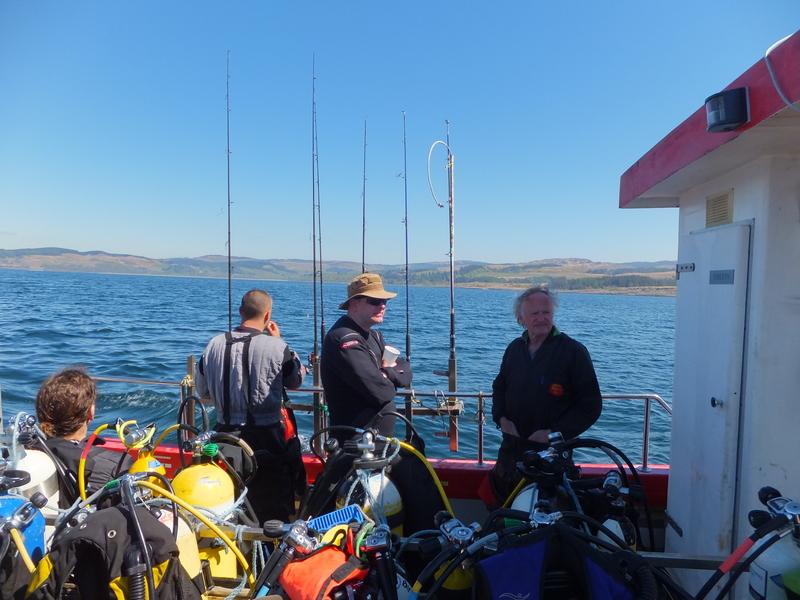 It was, without doubt, a memorable trip expertly organised by Ray that all who attended fully enjoyed. What could be better than that.